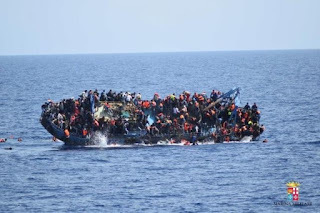 ROME, ITALY, (REUTERS): The bodies of 21 women and one man were found on a rubber dinghy adrift near the Libyan coast on Wednesday, just hours after they had set sail for Italy, humanitarian group Medecins Sans Frontieres (MSF) said. “It is still not entirely clear what happened, but they died a horrible death. It is tragic,” said Jens Pagotto, MSF Head of Mission for Search and Rescue Operations. “It seems that water and fuel mixed together and the fumes from this might have been enough for them to lose consciousness,” he told Reuters by telephone. 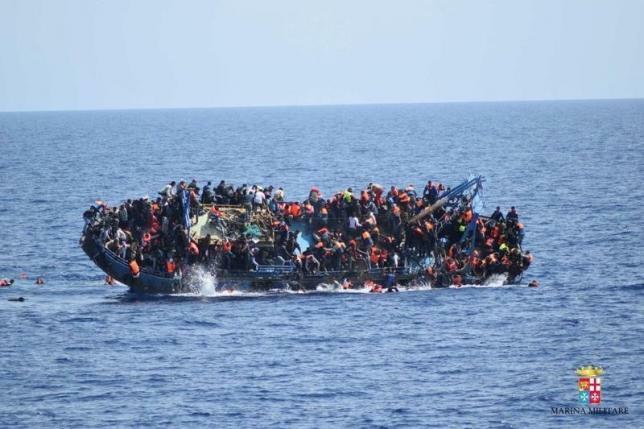 More than 2,500 people were rescued on Tuesday and one body was recovered, Italy’s coast guard said. Almost 600 people were saved on Wednesday. “The survivors had been on the boat with the bodies of these women for hours on end. Many are too traumatized from what they have endured to be able to talk about what had happened,” said Pagotto.